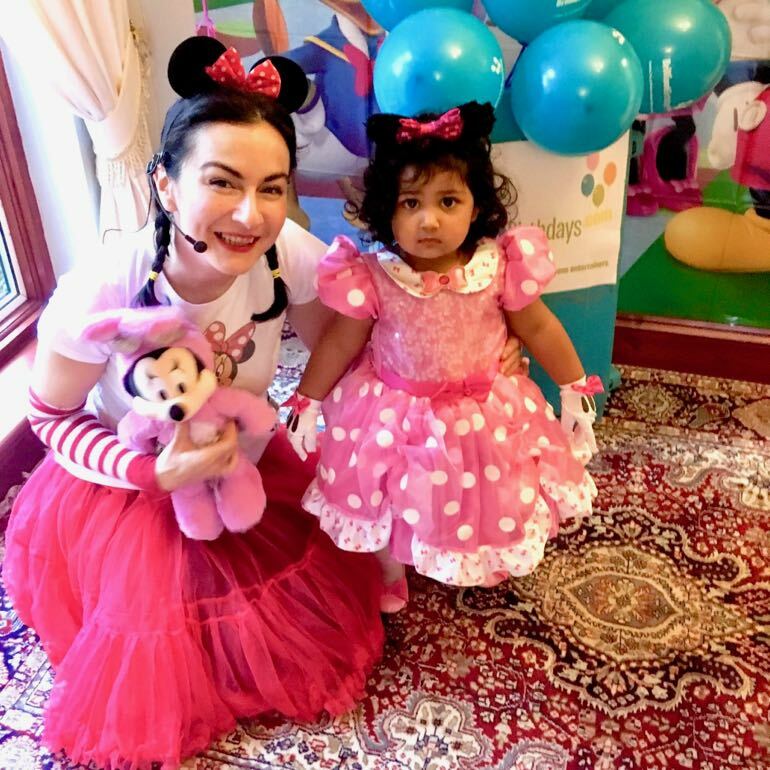 Have Minnie’s best friend make an appearance at your little one’s special day with our brilliant Minnie Non Mascot children’s themed party entertainment! 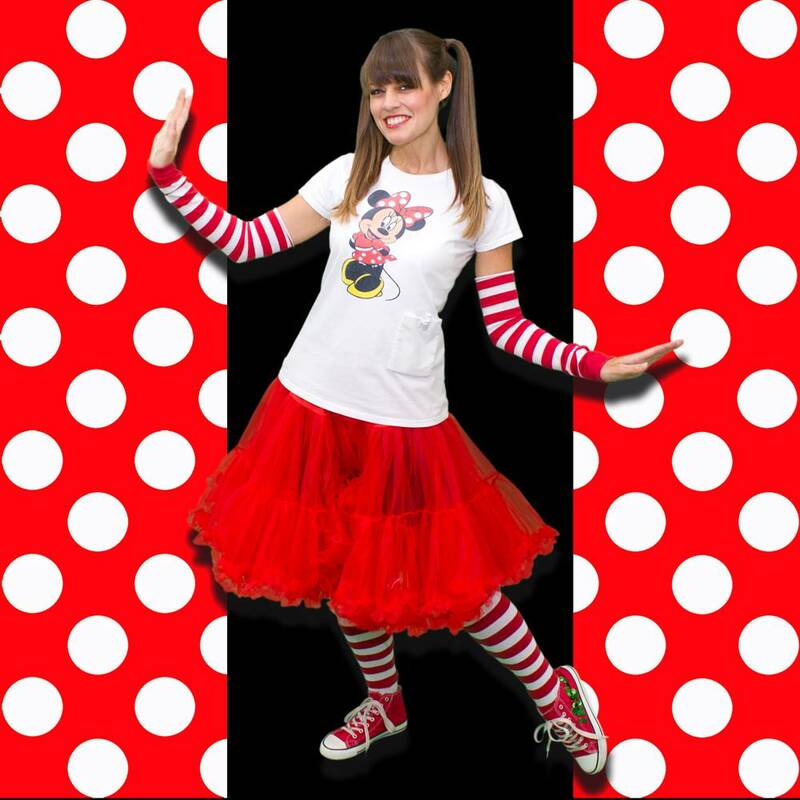 One of our brilliant Minnie kids party entertainers will arrive dressed in a wonderful Minnie themed costume, that would leave the Queen of Mice herself impressed! 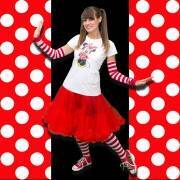 Watch, as your Minnie kids party entertainer will have up to a maximum of 30 kids, both boys and girls, dancing with delight to super Minnie themed music! 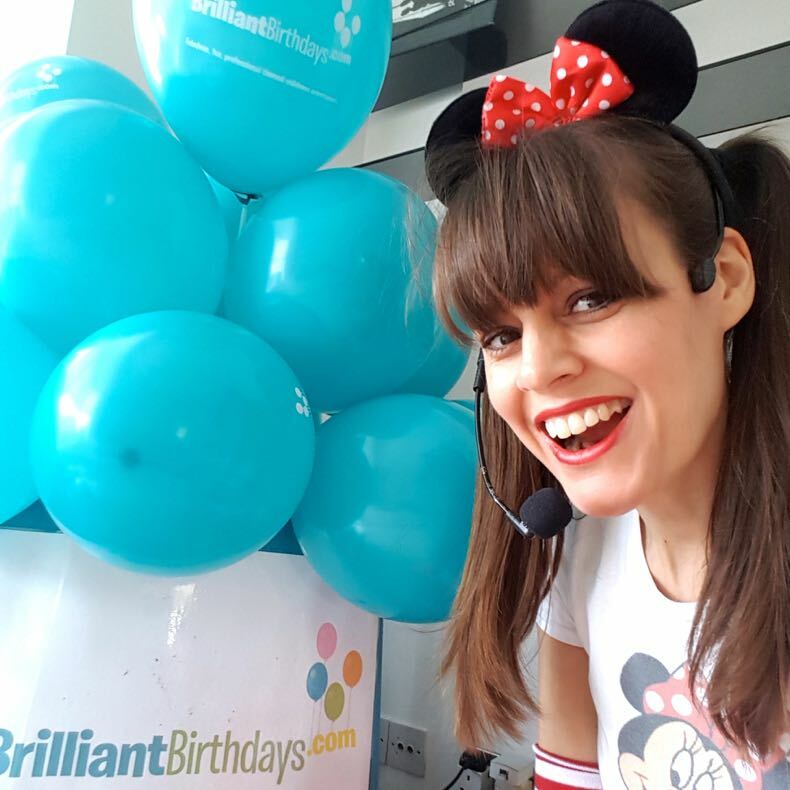 Your 1, 2 or 3 hour Minnie (No Mascot) childrens themed party entertainment will include Mice Musical Statues, the perfect Parachute finale, and a big Happy Birthday Singalong for the birthday child! 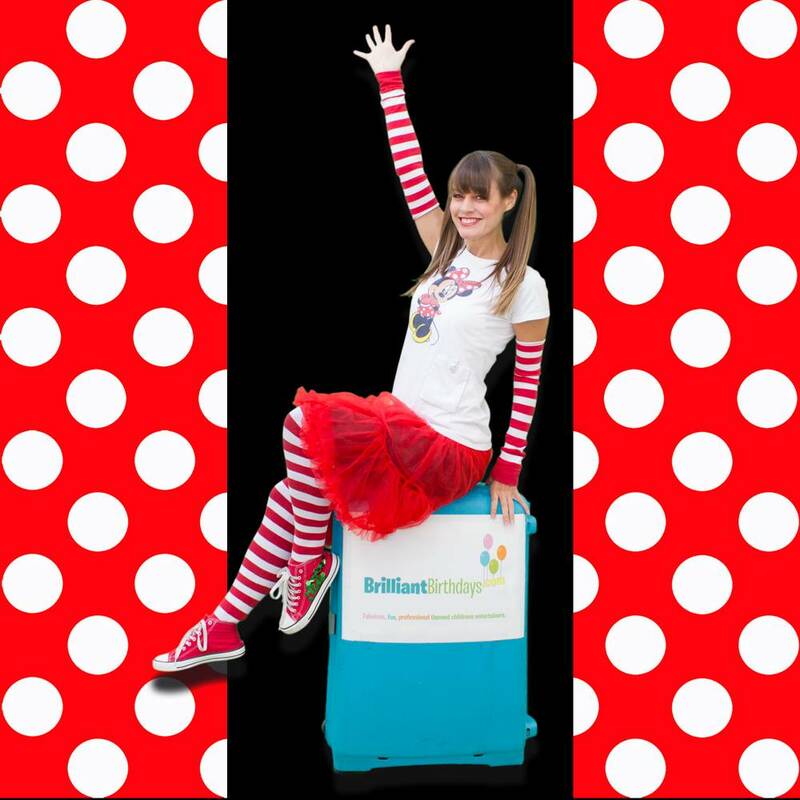 One of our experienced Childrens Entertainers London will select a magical range of activities depending on the length of your brilliant childrens themed party entertainment! If Minnie will be sending her best pal to provide amazing childrens themed party entertainment to a Party Place in the M25, we are super pleased to say that no travel charge will be required! If one of our Minnie Non Mascot kids party entertainers will be bringing a Mouse-tastic time outside the M25, there will only be a travel charge of 40p per mile, from and back to the M25! 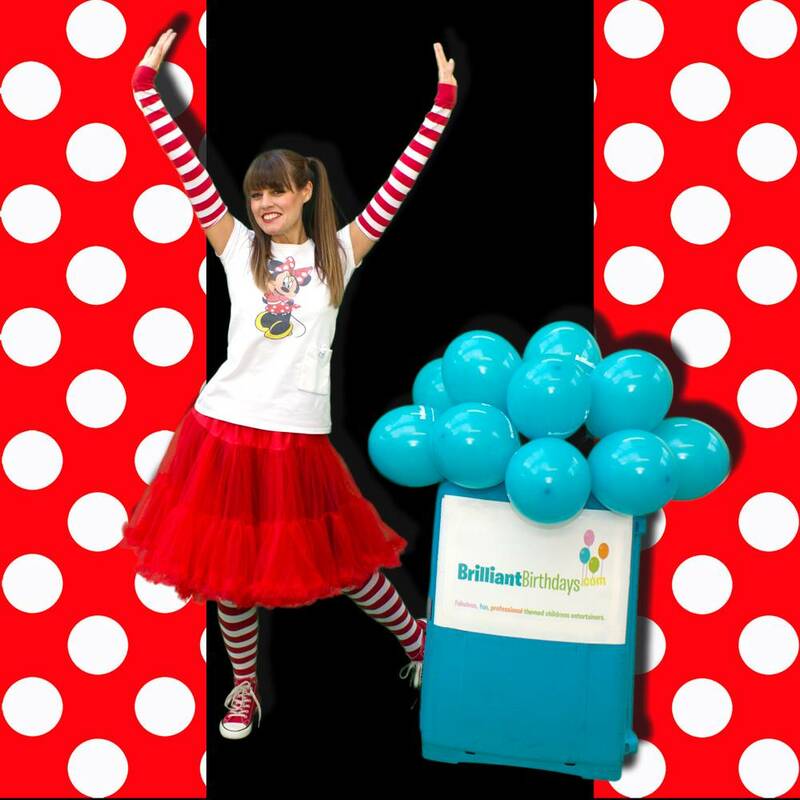 So put on your bows, dust down your yellow shoes, and enjoy our wonderful Minnie childrens themed party entertainment, from the best Childrens Entertainers in London & around! 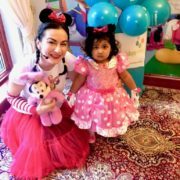 Wonderful party and service. Thank you! 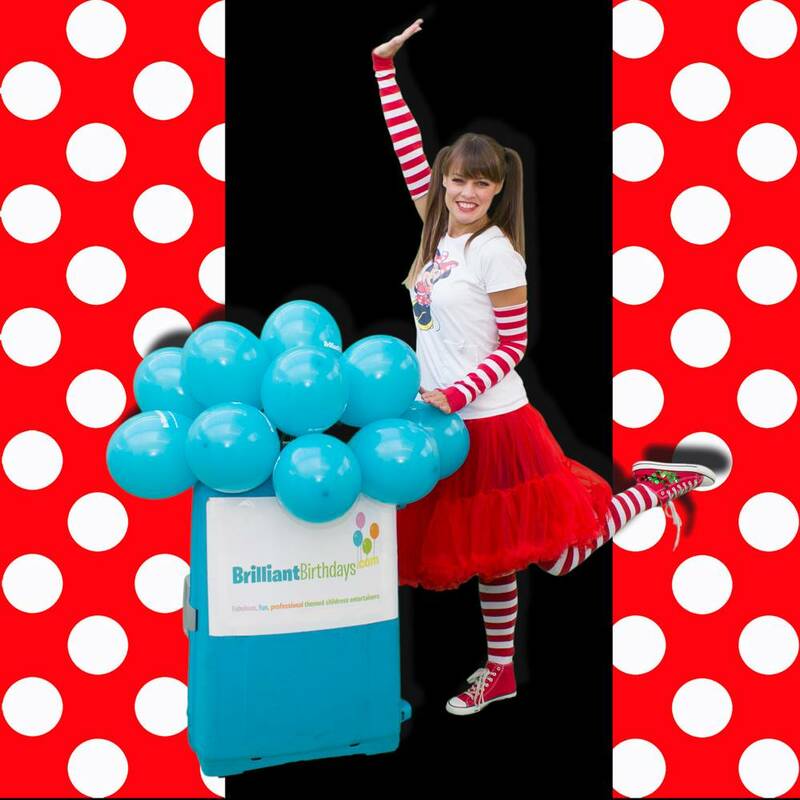 We had Minnie Non Mascot Package for our daughter’s 5th birthday party this past weekend. 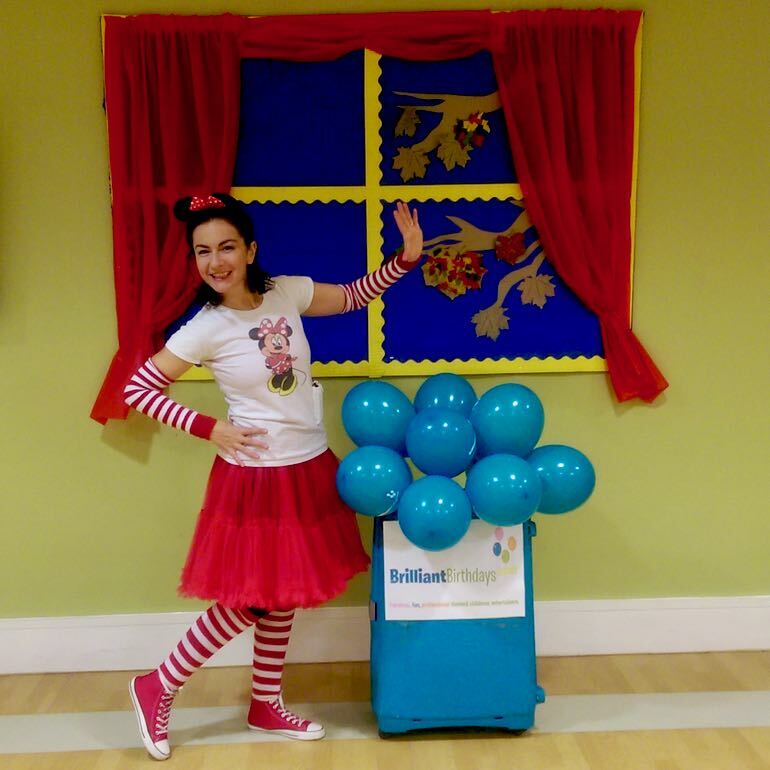 Our entertainer was brilliant. She was on time, professional and absolutely amazing with the children. 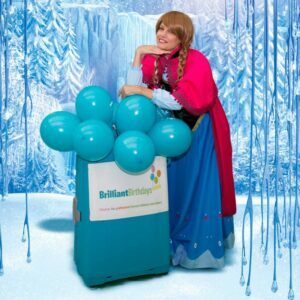 She kept a group of 30 children engaged for the full 2 hours. We got tons of compliments from the other parents . 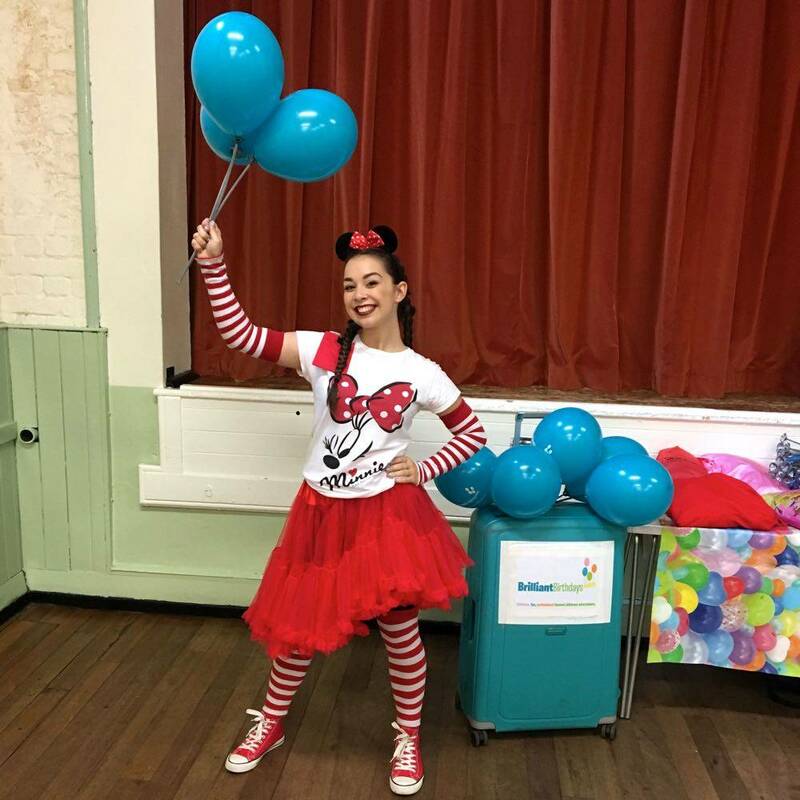 Thank you so much for making our party brilliant! 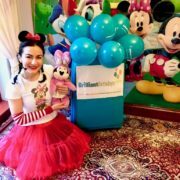 I just wanted to say THANK YOU to our lovely Minnie Mouse entertainer. The party went really well and everyone enjoyed it. Thank you very much Brilliant Birthdays! 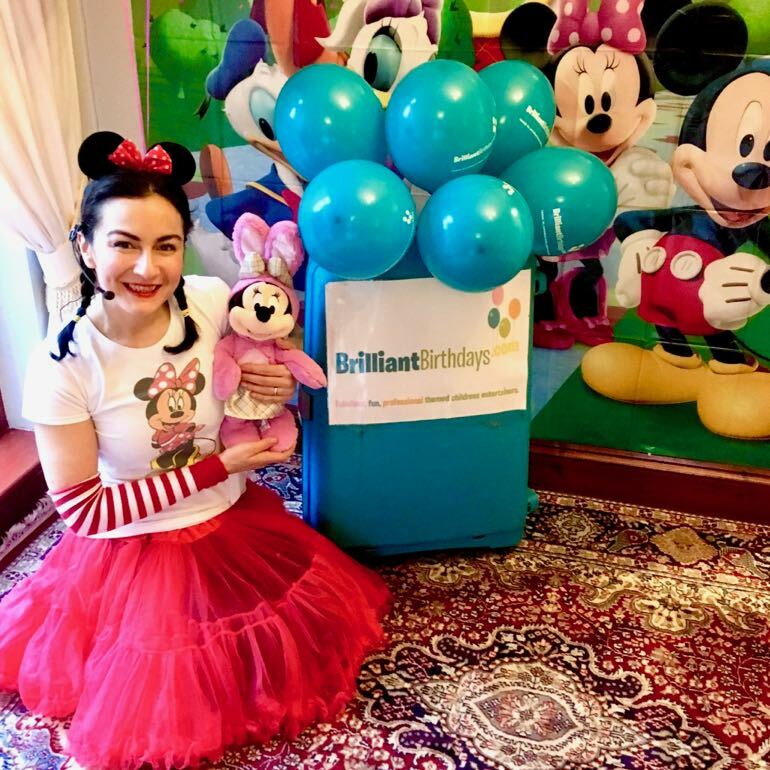 My 4 year old daughter is very happy with your service as she had a great time on her birthday with Minnie Mouse entertainer. I can’t imagine what the party should looked like if I didn’t call you – thank you Brilliant Birthdays you are FANTASTIC !!! 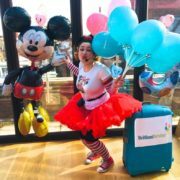 I booked Minnie Mouse non mascot and we loved her! She was wonderful entertainer and next year i will be booking Brilliant Birthdays again! 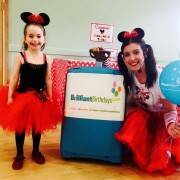 We had a Minnie Non Mascot Party and we all enjoyed it! Adults were engaged along with children! Thank you Brilliant Birthdays for making our party special! Awesome Entertainer sent from Brilliant Birthdays! 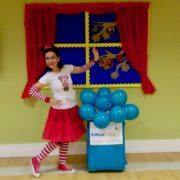 She was early and had a massive bag of props to keep the kids engaged and happy. 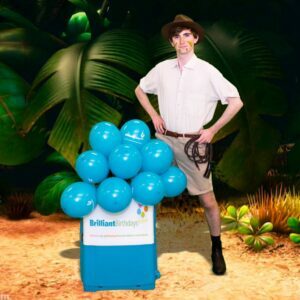 Bubbles, Maracas, Balls the list goes on! Will be booking again next year! Thank You Claire also for making the booking process so quick and easy! 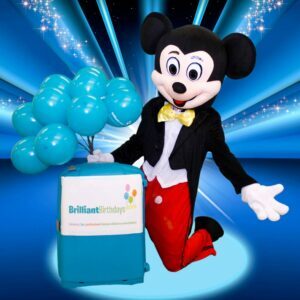 Wonderful Party and great value for money would recommend! 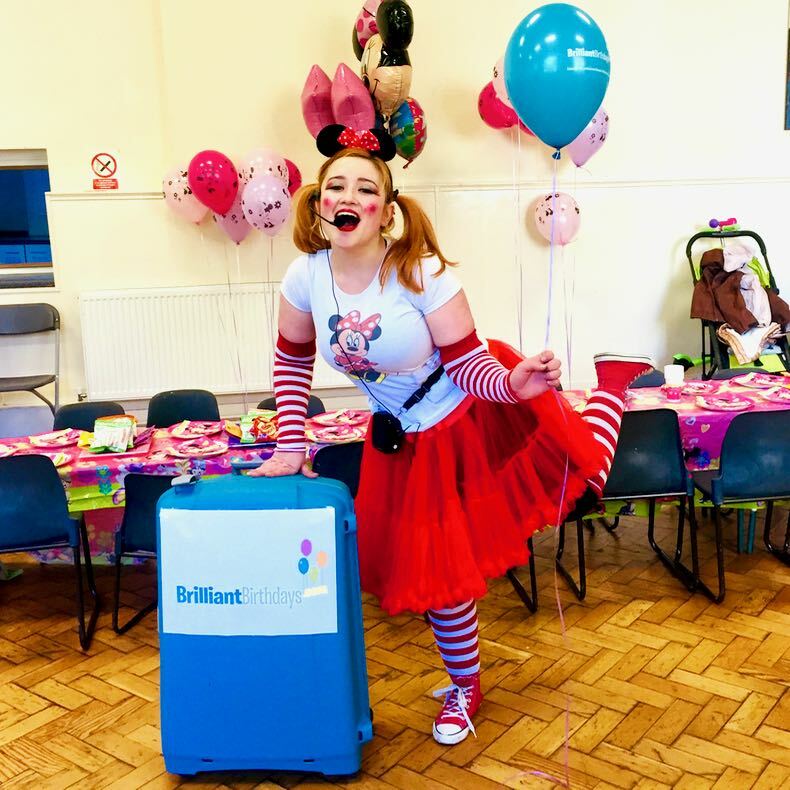 Chloe had the best time at her party with her friends and I loved being able to just sit and enjoy watching them all have fun with our brilliant kids entertainer. Would definitely recommend you to everyone! 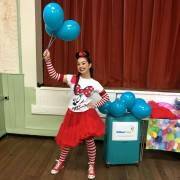 I was amazed how well Jasmine, our entertainer kept the children’s attention the whole time considering the variety in ages. Great value and would definitely use Brilliant Birthdays again next year. Thank you! 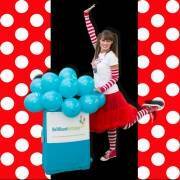 Our entertainer, Sarah-Jane, as Minnie entertainer was ABSOLUTELY brilliant. She kept the kids entertained with many fun games and kept the energy up the whole time. I would recommend her and the company and plan to use them again! 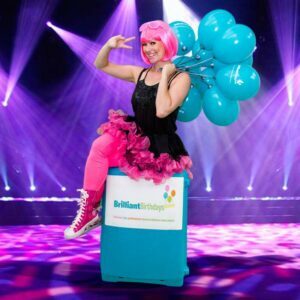 We go brilliant entertainment by Brilliant Birthdays! Thank you and keep the brilliant job up! See you soon again! 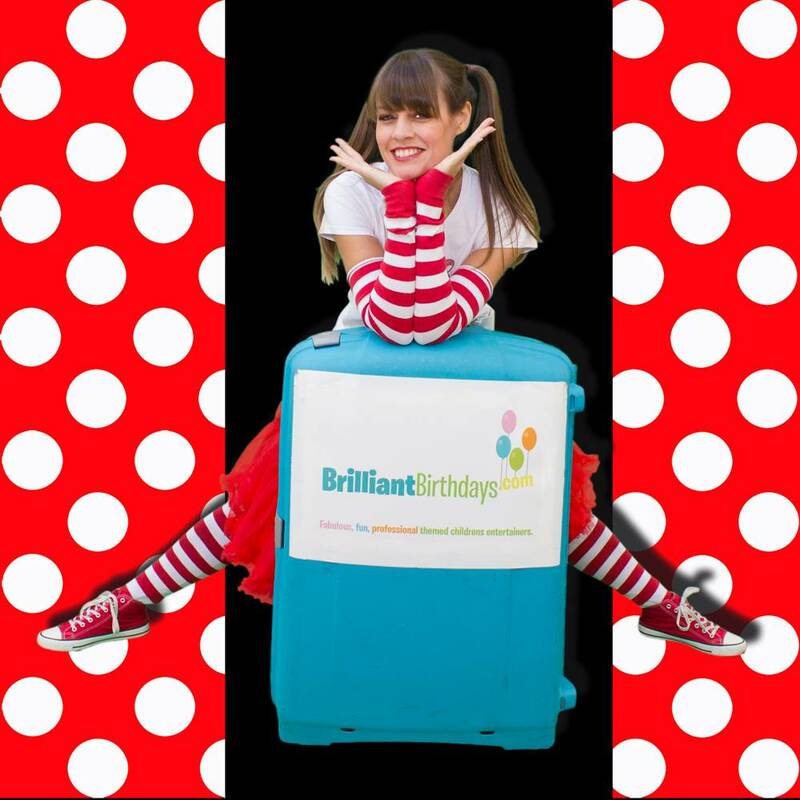 I would highly recommend Brilliant Birthdays kids entertainers! Claire did everything to ensure I was completely satisfied and that my daughter had the best party even though I booked them last minute. The kids had an absolute amazing time.. 10/10 from me!! 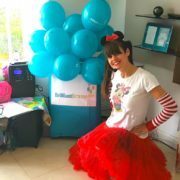 Thank you for making our daughters 5th birthday party such a success. I was so impressed with entertainment and how engaged all the children were! Can’t fault the easy booking and communication. We will be recommending you and using you again. Thanks so much. Thanks so much, great job at our Minnie Mouse day. the kids loved it & the repsonse from parents was great. will definitely be using you guys again! My daughter and her friends had a wonderful time at her B-day party. The girls (only:)) were all well entertained. I would definitely recommend Brilliant Birthdays and would use them again. Thank you for the party! We didn’t see the time fly. I highly recommend brilliant Birthdays entertainment and I will use you again next year.